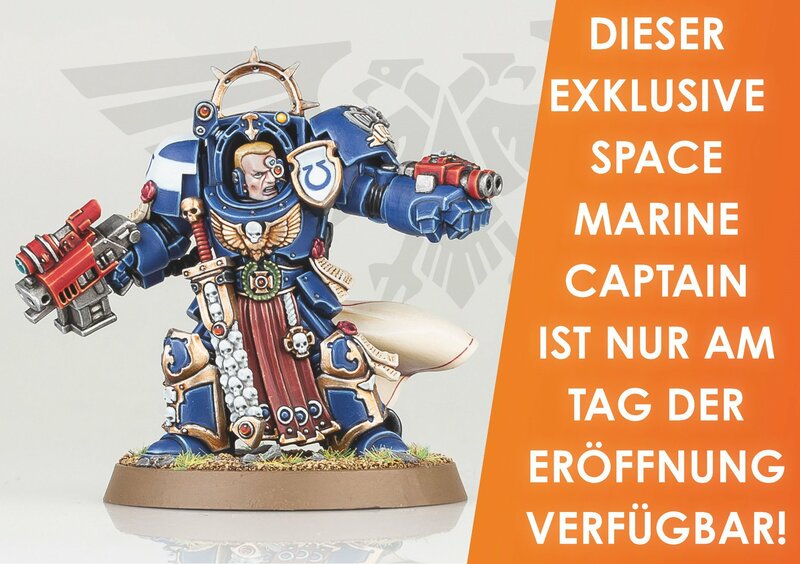 Earlier this year I saw an unexpected advertisment by Warhammer Recruiting on my facebook feed. They are looking for a Store Manager in Koblenz. Wait a minute? Koblenz? That's my (former) home town. That would mean ... that can't be ... a "real" Warhammer Store right on my doorstep? 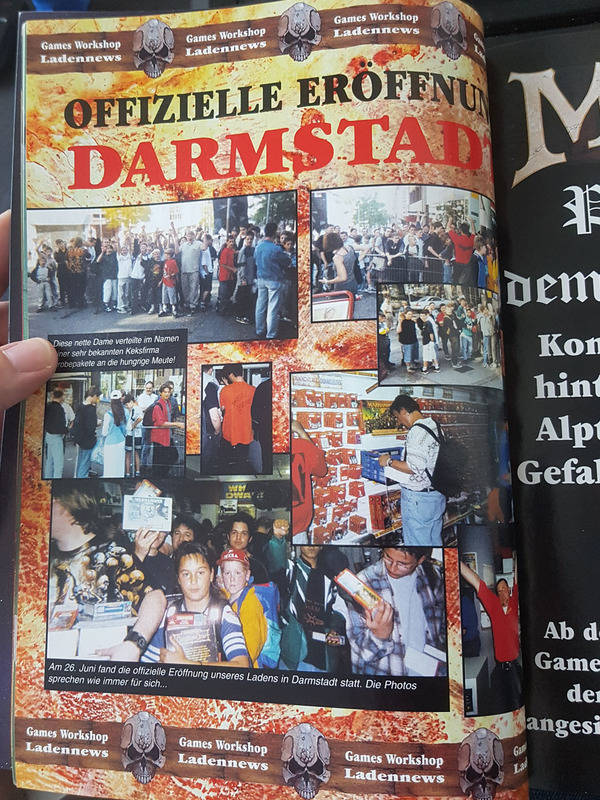 I've lived in Koblenz, the beautiful city at Rhine and Mosel, for 7 years and if you would have told me, we would get a Games Workshop store in our city, I'd laughed and said no way. 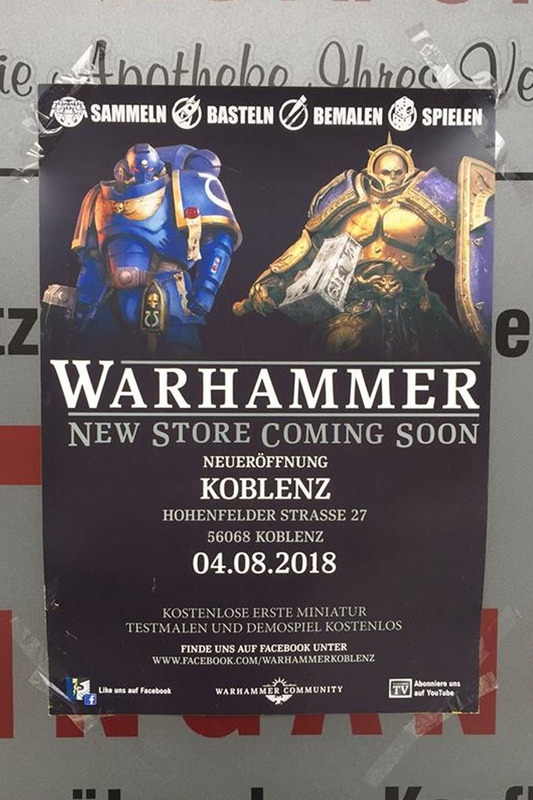 But on August 4th Warhammer Koblenz will open up. A bit strange feeling for me, the last time I've been to a Games Workshop Store Opening was almost 20 years ago. 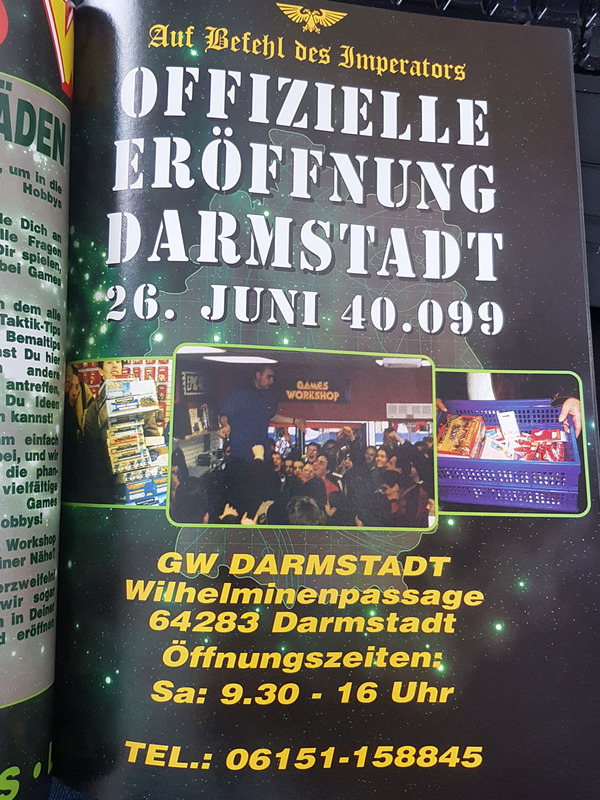 That was the Games Workshop in Darmstadt on June 26th 1999! I was there with my oldest friend, with whom I started wargaming back in the day. 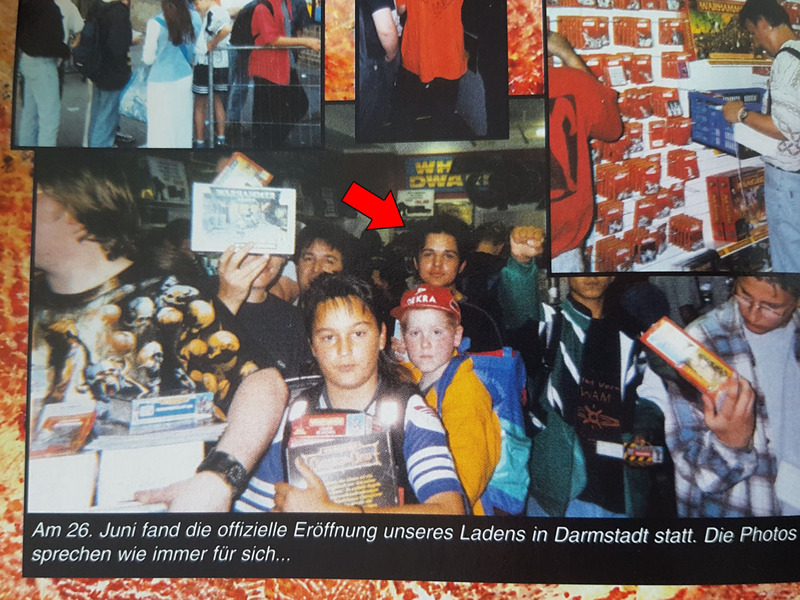 That wasn't the last time I was shown in the German White Dwarf. If some of you find the other times, drop me an e-Mail, I'll send you a small gift bag. Back in the day we got large Ork Head pendants / key chains as give aways and a couple of discounts. I think I got myself a regiment box of the old Empire Soldiers in plastic, it might be the ones with helbards. Nowadays Games Workshop has different offers. 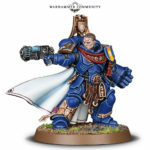 In two weeks, you will have the chance to get your hands on the Store Founding Dice and Space Marine Captain. Those are available in limited numbers. 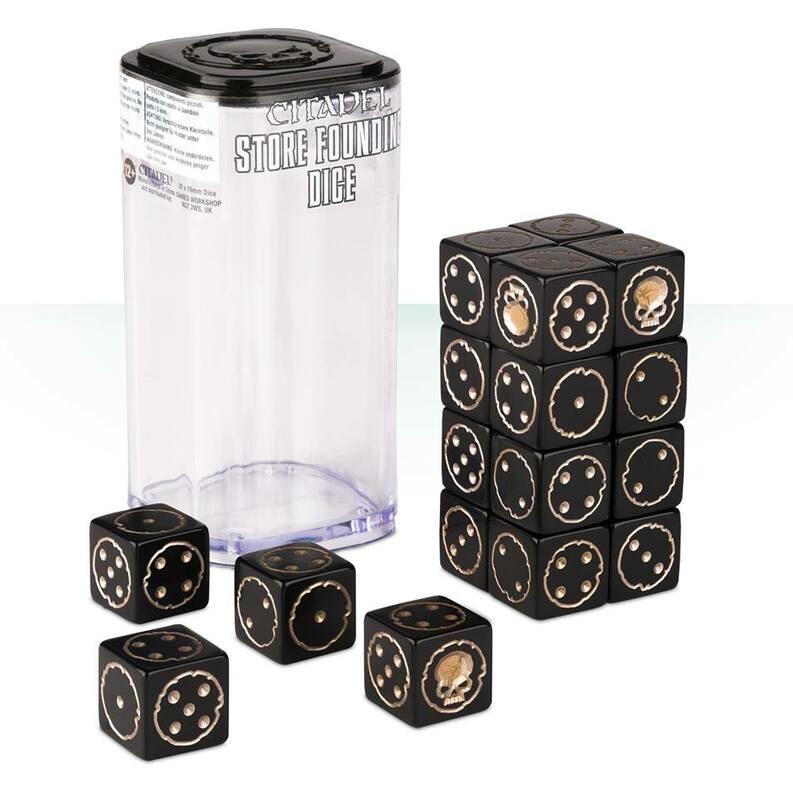 But it is a chance for the local gamers to get them at the regular price and not second hand with excessive upmarks. 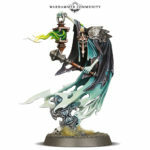 The new Nighthaunt and Space Marine Captain will not be available yet, we have to wait for the first Store Anniversary. But there'll be a couple of merchandise available, pins, badges, cups and t-shirts, of which I don't have pictures at hand. I met today with Carlos, the Store Manager, at the "store building site" and even a couple of people from the local wargaming szene came along for a chat or to pick up their entry for the painting competition. Had the chance to meet new people, among other Daniel from the Banana Pirates. Carlos has a lot of ideas for the local gaming community, among them a long gaming night. That is something I really liked about the old gaming store on Friedrich-Ebert-Ring and that might be a chance to have a round or two of Shadespire or Inq28. The special items will be a motivation for the collectors to drop by at the store opening. I've written down Saturday August 4th and will drop by, as far as nothing else happens in the mean time ;). 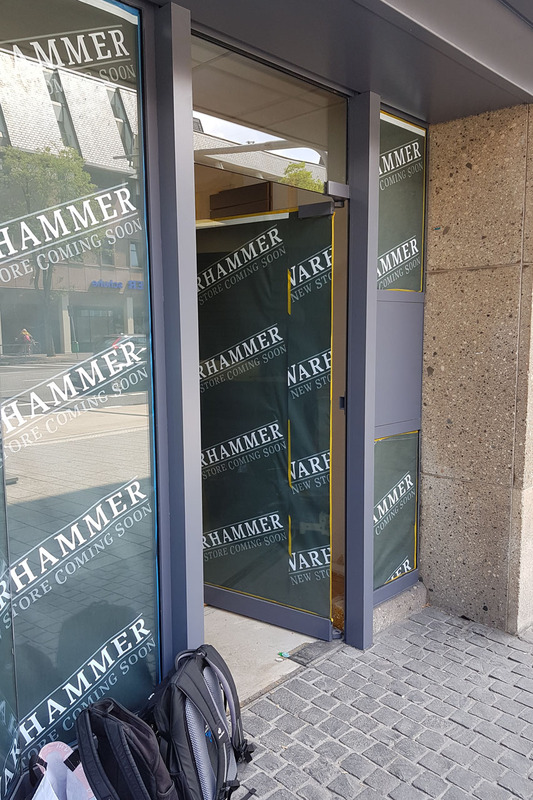 It really is right on my doorstep and with the new, more open way that Games Workshop has on their social media and on Warhammer Community, it is going to be interesting to have a Warhammer Store so close. Of course I'll take some pictures for you at the store opening. 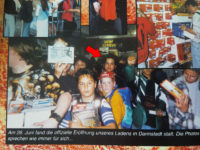 Maybe we see eachother in two weeks in Koblenz (or a few weeks later on Warhammer Fest Europe? ), see you soon!